Google's Waymo will launch the first public road tests of its self-driving minivans later this month. One tech analyst said the industry would keenly watch Waymo's performance in the coming months. "The Waymo self-driving program is the first true end-to-end integrated solution that we see in the market today," said Arunprasad Nandakumar, a tech analyst with Frost & Sullivan. "In the coming months, the Waymo minivan will give clearer indications on whether the industry will be able to meet the steep targets that have been publicly announced by various players." 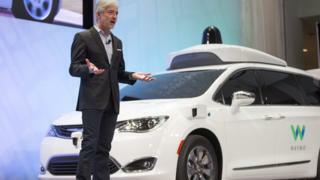 Would you bully a driverless car or show it respect?